This is not a traditional module that adds new content or does any switching. It is a utility library, containing some common pieces of code that are (for the moment) useful for Scoreboard Server, Ball Server and Referee Kit Server scripts. Currently, it only has the code which checks if two teams selected in exhibition mode belong to the same league, so that e.g. their league's ball (or scoreboard or referee kit) can automatically be selected in exhibition match. Important: Since this is a library, which is used by other scripts, it needs to be listed as the first lua.module entry, so that it gets initialized before other "normal" scripts do! 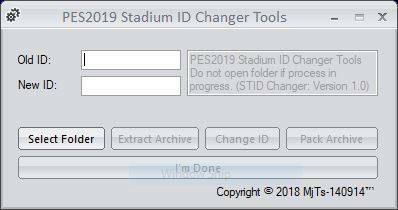 A small tool from Master Juce for Pro Evolution Soccer 2019. LiveCPK Sider allows you to organize the content in folders and files, without the need to package them into cpks. Files can be edited "on-the-fly", and for some of the files - if the game reloads them - the changes will be visible right away, without restarting PES, just like the good-old kitserver ! but you need to start LiveCPK Sider before starting the game ! Added Entrance & Winner Celebration: (Bundesliga, Brasileiro, Community Shield, Copa del Rey, Coppa Italia, DFB Pokal, DFL Supercup, FA Cup, LaLiga, Serie A and Supercopa de Espana, Supercoppa Italiana and Trophée des Champions. @FuNZoTiK @ginda01 @G-Style), (Copa Argentina, Supercopa Argentina, Superliga Argentina @nahue), (Copa Chile, Campeonato Scotiabank @BenjaDiaz), (FA Cup, Premier League @MJTS-140914), (Ligue 1, UCL Cupstand @watermeloo). Added ML Graphics: (Ligue 1 @FuNZoTiK & Copa Chile, Campeonato Scotiabank @BenjaDiaz). Added Manager Kits: Liverpool @fifacana . Added New BallPack @Hawke . Added New ComKitServer @Cesc Fabregas. Added Press Room: @Ivankr Pulquero (Atletico Tallares, CSKA Moskva, Chelsea, Feynoord, Fiorentina, Olympiacos, PSV). Included "sider.dll latest version 5.1.4, EvoReferee.lua, EvoScoreboard.lua, EvoEntrance.lua, EvoCornerFlag.lua, EvoBoard.lua"
– stability fixes: memory.read and memory.search no longer change page protection attributes, which was causing crashes in some situations. – better logic for polling controllers for their state. – overlay can now be controlled by gamepad: Lua modules can use new “gamepad_input” event. Press “RT+LT” to toggle the overlay on/off. Press “LT” to switch to next module in the overlay. – new “livecpk_read” event for examining the data as the game reads it. 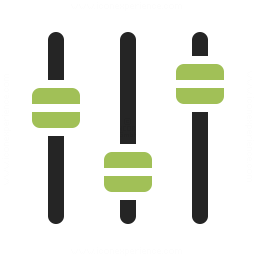 Also new library available to Lua modules: “zlib” – for compressing/uncompressing data. See doc/scripting.txt – for all the details on this. – now using LuaJIT 2.1.0-beta3. This allows Lua modules to use all RAM available. 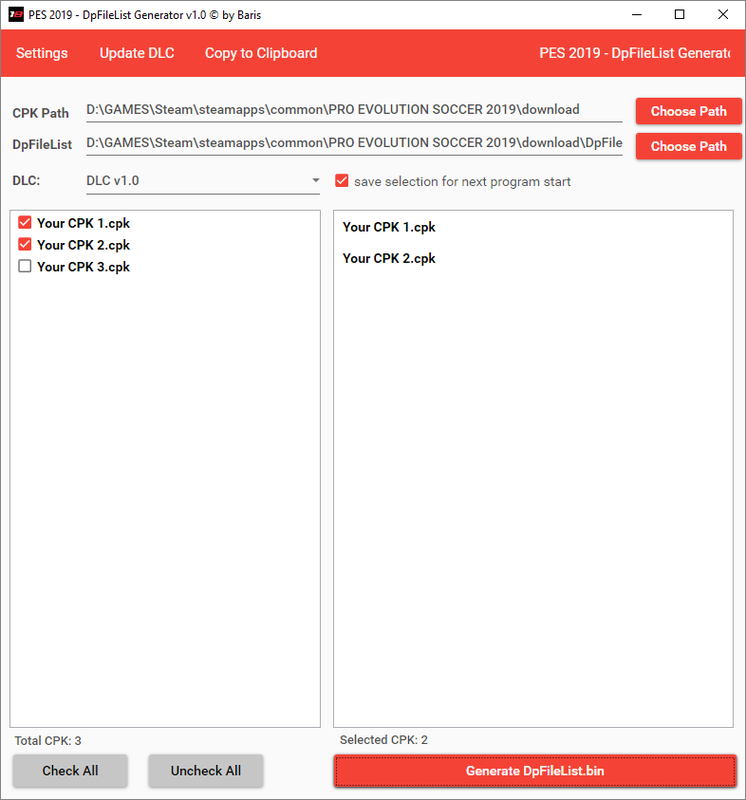 sider is a small tool made by (juce), allows more things to be injected directly into the game such as more stadiums or automatic scorecards or others, bypassing any game limits. 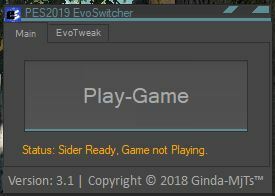 simply run (sider.exe) BEFORE starting the game, it will automatically be running. What is Stadium server ? this is a server that enable us to add much more stadiums than we can include in the patch, the stadiums will not show in edit mode and they will not be selectable in select stadium menu, however they are all linked to their respective teams, when you select (home ground) for a game, the stadium linked with that team will be selected, in master league and bal modes all the teams that have their stadiums in the server will play all their games in their stadium. – fix for “3-subs-only” bug. Previously, if you had set the number of substitutions to any value other than 3, it would cause some of the sider events not to trigger. That would break StadiumServer in exhibition mode, for example. Fixed now. Big thanks to @Cesc Fabregas for finding this! New tool from nesa24 & digitalfoxx. 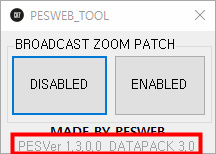 This tool will help you to disable or enable Broadcast Camera zoom in PES 2019. 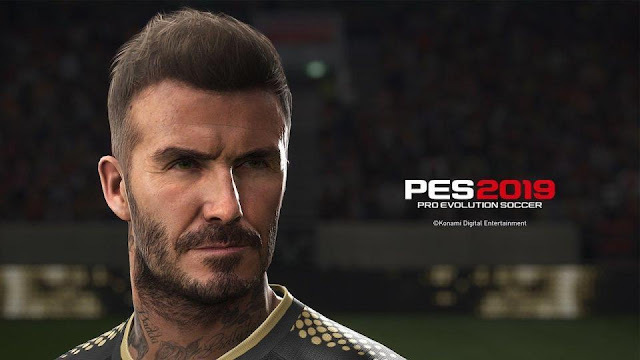 Tool Only works with Pro Evolution Soccer 2018 STEAM Release [ FULL Version ] ! 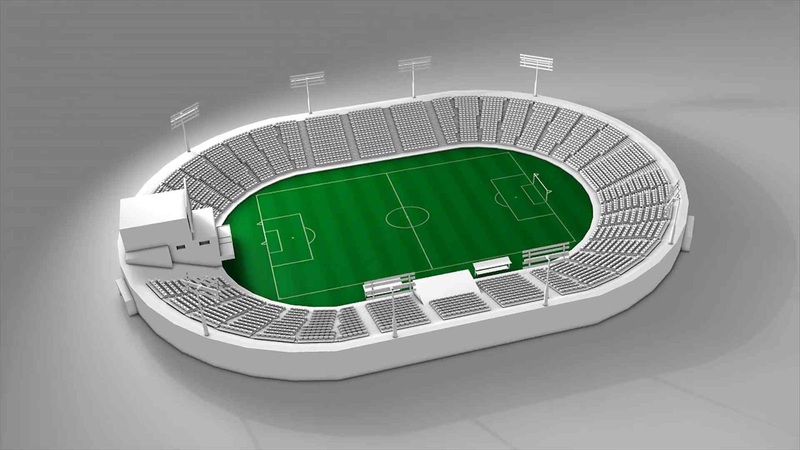 No more limitation, now you can add many stadiums in PES 2019 by using Stadium Server by Zlac. Sider 5 is needed to use this tool. 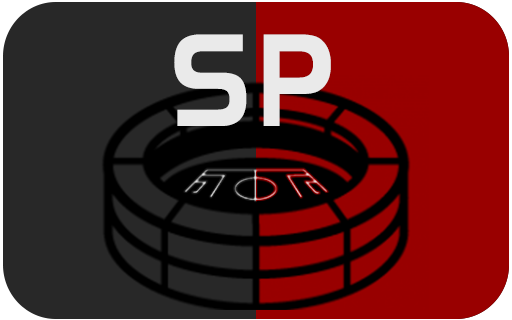 – added new Lua events: “set_stadium_choice” and “get_stadium_name”. If you’re updating your existing sider 5.1.1 – skip copying the sider.ini from 5.1.2 .zip file, since it does not contain anything new. Simple DpFileList editor that does not require Internet connection. Supports all DLCs. * doesn’t need previous version. 1. Unpack the archive into your PES2019 folder. Note: do not open folder if process is in progress. – You can add as many gameplay mods as you want! Just extract the contents of the modded “dt18_x64.cpk” e.g. with CRI Packed File Maker and put it in “content/gameplay-loader/your-gameplay-mod”. Take a look at the gameplay mods located in content/gameplay-loader as reference. 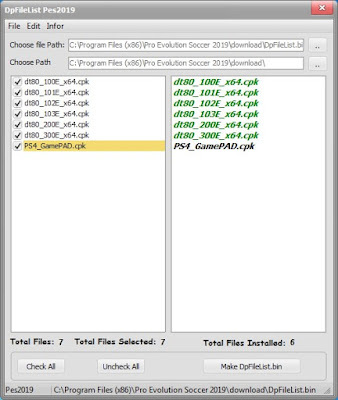 2) Copy folders “content” and “modules” to your PES2019 directory and overwrite the directories. No files of sider will be overwritten. 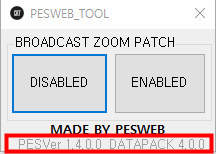 I strongly recommend to use this with the PTE Patch, the Addon is dedicated to this Patch. The newest PTE Update 2.1 is required, otherwise a lot of stuff will not work. Inaccurate kit selection during replays - due to game design, saved replays do not include tournament_ID - if the competition specific kit used in saved replay has been assigned via map_competition.txt, then there is no way to re-select exactly the same kit during replay - exhibition mode kit is most likely going to be selected. It's impossible to add specific kit configs, it's only a texture replacement LUA module due to the inability to reload a new uniformparameter.bin. Different placement of leg numbers or fonts is not possible. The kit texture has to be modified and all sleeve patches you want to use need to be on the kits. For the UCL and UEL all sponsors where removed and the Sleeve patches + Armbands where added onto the kit textures + Alpha Channel. It's not possible to do that with badgeData, don't even try it. Chelsea/Basel/whatever doesn't have a CL kit? 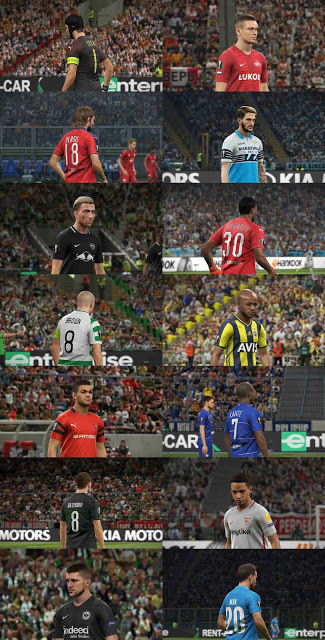 -> That's right, the module only includes the teams who are featured in the UCL in real life. Real Madrid has the leg numbers on the different side in UCL in real life! -> We can't change that, reloading of new kit configs is not possible. Can I get all kits for this patch, for that patch or for another patch? - Ask the patch creators to create content like that, it will 100% stay a PTE only version. You still can use the alternate Konami version with every other Patch or no Patch. I play with Tottenham in UCL and they have EPL fonts? - Update your PTE Patch to 2.1, otherwise specific fonts for EPL are not working. Some teams doesn't have the Respect Armband! 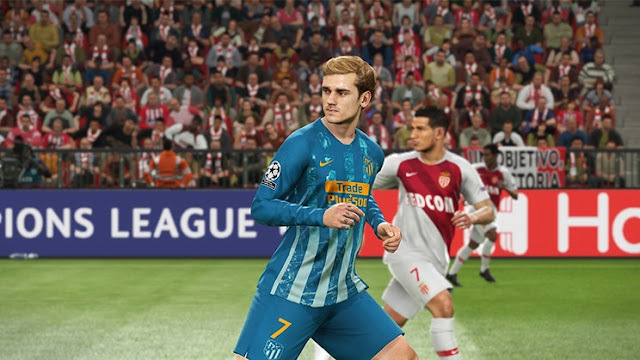 - I've looked them all up, some teams are just not using this Armband in real life, like Atletico, it's realistic like that.